How do we win battles on our knees? We take our requests to our Holy Father and lay them there. It is not a quick prayer that we say at mealtime, before we hurry out the door, or as we go to bed. Instead, it is taking time to seek the Lord’s face and listen for His answer. 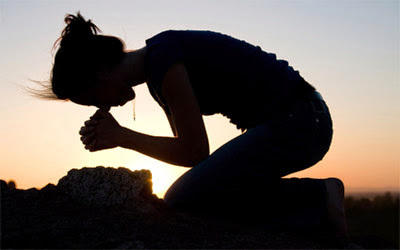 Why should we seek to win through prayer? Prayer assures us of victory. We see this over and over in scripture. God’s servants fell on their faces before a Holy God. Daniel prayed before being thrown into the lion’s den, along with many others. Battling on our knees with the Lord means we are not doing it alone. We have a strong and mighty force on our side. Through prayer we connect to the power of the Holy Spirit. All that we will accomplish for God will be done with the power of the Holy Spirit. What does the battle plan look like as we prepare to win victories through prayer? First, set aside time to be alone with God. Find a quiet place and meet with the One who can help you. Second, listen for His voice. The Lord desires to know each of his children, but we will never know Him until we are willing to be quiet and hear His voice. Third, don’t be surprised when other issues in your life that are causing defeat are revealed to you. Repentance and surrender are necessary to experience God’s best for us. Fourth, remember that there can only be one leader. We can express our desires, but God does not take orders from us. We must allow Him to work on our behalf. Last, understand that battles in life are one of God’s tools. All that happens in our lives God allows, but He will work for our good if we surrender to Him alone (Romans 8:28). Father, we desire to be victorious through You. Take the battles we are fighting today and turn them into good in Your way and in Your timing.